We are thrilled to introduce to you the first ever for Ireland – a BLUE MAJIK SMOOTHIE! To celebrate this really exciting and innovative smoothie, we are turning our stores blue – just like the new smoothie, from 22nd November. 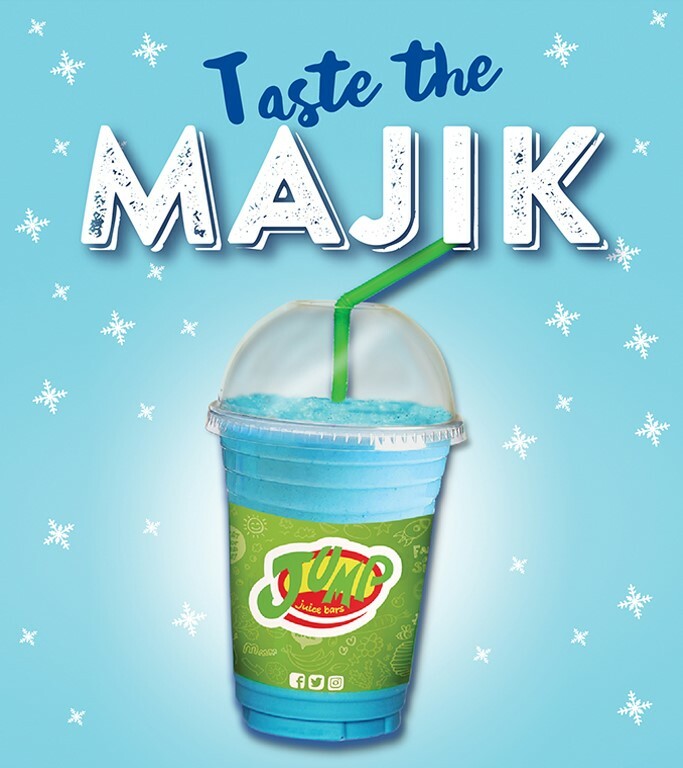 We are now blending ever popular smoothies with Blue Majik just in time for Christmas! Blue Majik is a proprietary, chemical free extract of Arthrospira platensis (Spirulina). Its stunning blue pigment contains both phycocyanin and non-phycocyanin compounds. This unique combination is not seen in standard Spirulina powder. Phycocyanin is clinically shown to relieve physical discomfort, which means consumers feel better, can do more activity, and enjoy an overall better quality of life. Not only does Phycocyanin powder turn smoothies and other products bright blue, it is known to have nutritional benefits, anti-inflammatory properties, and is tasteless with no known side effects.